"Until now, we have been following a certain path - and in March, Tibetans all over Tibet very courageously and clearly demonstrated their deeply-rooted resentment and animosity. This was not just ordinary Tibetans but included Party members, officials, students... even students who were at the University for Nationalities in Beijing. Without differentiation, it was men and women, lay and robed, everyone showed their resentment. I placed great hope in the Chinese government at this time. Having been exposed to the reality of the situation in Tibet, I hoped that with this understanding they would be willing to consider finding a solution. But instead, they labeled all Tibetan demonstrators as 'political rebels' and clamped down hard on them. Now, we cannot continue as though we do not know that this is happening. So, until now, we have followed a path towards finding a mutually beneficial solution which has received much support from the rest of the world including India, as well as an increasing number of Chinese intellectuals. 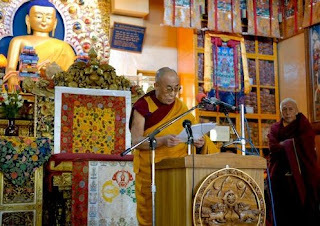 But this path has had no effect on our main objective, which is to improve the lives of Tibetans inside Tibet. So, right from the beginning, even in my Strasbourg proposal at the EU parliament, I said the final decision will be made by the people of Tibet. In the 1990s - in 1993 - we lost contact with the Chinese government and we had a general meeting at which we decided to continue on the same path. Now, at this time, there is no reason to stay the same course just because we are on it [now]. The future of Tibet is for the Tibetan people to decide - not for me as an individual. Secondly, I truly believe in active democracy - I am not like the Communist Chinese who say one thing, like democracy, and act another way. We have a truly unique culture of kindness and compassion that can benefit the whole world. Tibet's struggle for truth is not just for the benefit of the Tibetans alone but it will benefit the whole world and it has the potential to improve the lives of the Chinese people as well. 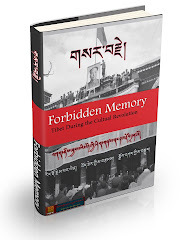 The destruction of Tibet's religion and culture will be a huge loss to everyone. Therefore, our struggle is a struggle to benefit the people of both sides. So, we need to discuss all this and find ways in which we can take our struggle forward. 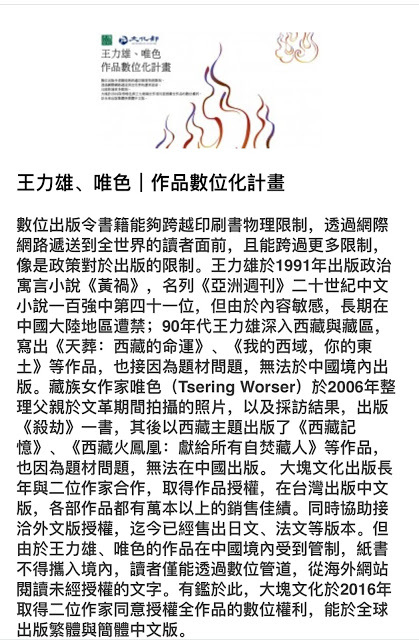 The Chinese government has blamed me for instigating the March protests inside Tibet. Right away I invited them to come and go through my office, paperwork and even listen to tapes of conversations I've had with new arrivals from Tibet. But no one came to look through anything. So, it seems as though I am a hindrance to finding a solution for Tibet. The Tibet issue is an issue of the Tibetan people and the Tibetan people need to decide. So, under these circumstances, on September 14, I said that this responsibility is becoming too difficult and there is no use in continuing it. If I were dealing with someone who was speaking honestly, then I would have no problem, as I can speak and understand reason. But we are not dealing with honesty here. So, I've been clearly saying, even to foreign journalists and others, that I have not lost faith in the people of China but my faith in the present Chinese government is thinning and it's becoming very difficult. So now, we are having this general meeting as announced by the Kashag [Tibetan cabinet] and the Tibetan Parliament. It is likely that we will not reach any decisions immediately but we need to understand, analyze and together think of long-term solutions based on the real, current situation. So this is the aim of this meeting."